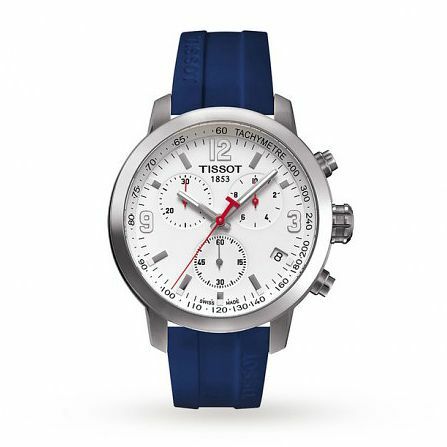 Marked by the desire for higher performance, Tissot presents their limited edition timepiece as a token of their partnership as official timekeeper of the Six Nations Rugby league. The dial has been meticulously marked with several precise indices and three chronograph subdials that can be used to measure subdivisions of time. A tachymetre surrounds the circumference of the dial to help you track speed and the watch has been Swiss made for decades of experience in the precise art of watchmaking.